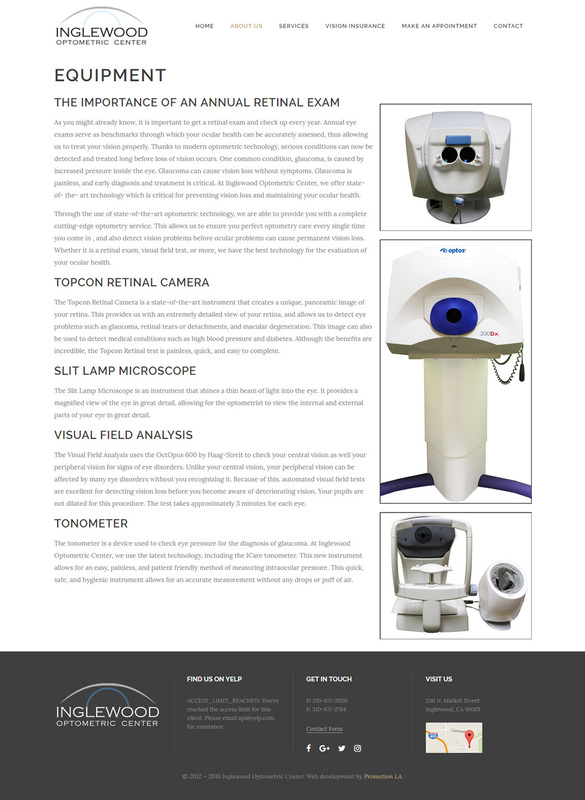 This local Optometry Center needed web development that would help their business excel. 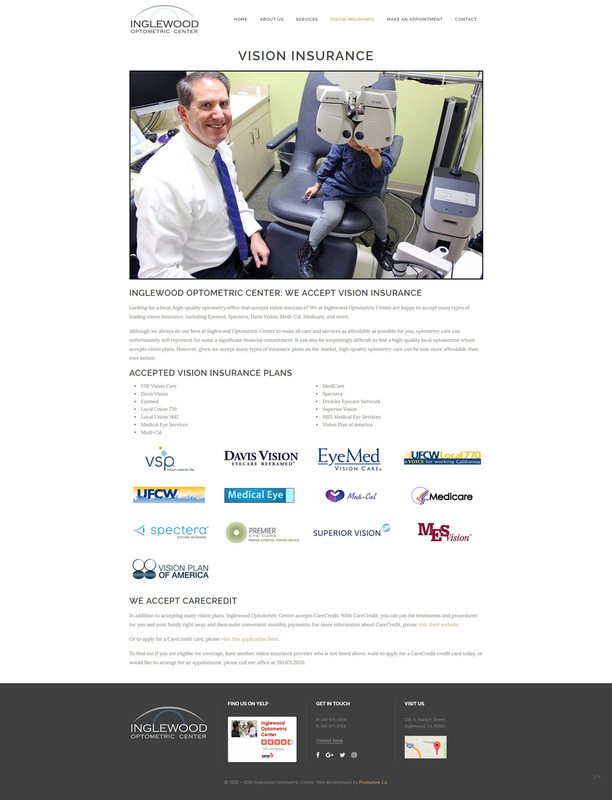 We created useful pages like Vision Insurance and Equipment so clients could see what types of insurance Inglewood takes and which state-of-the-art equipment they use. In the mobile version of their website we made sure to use a Call to Action button that stays with you no matter where you scroll on the homepage. This influences clients to call immediately for any questions they may have, or to even book an appointment. 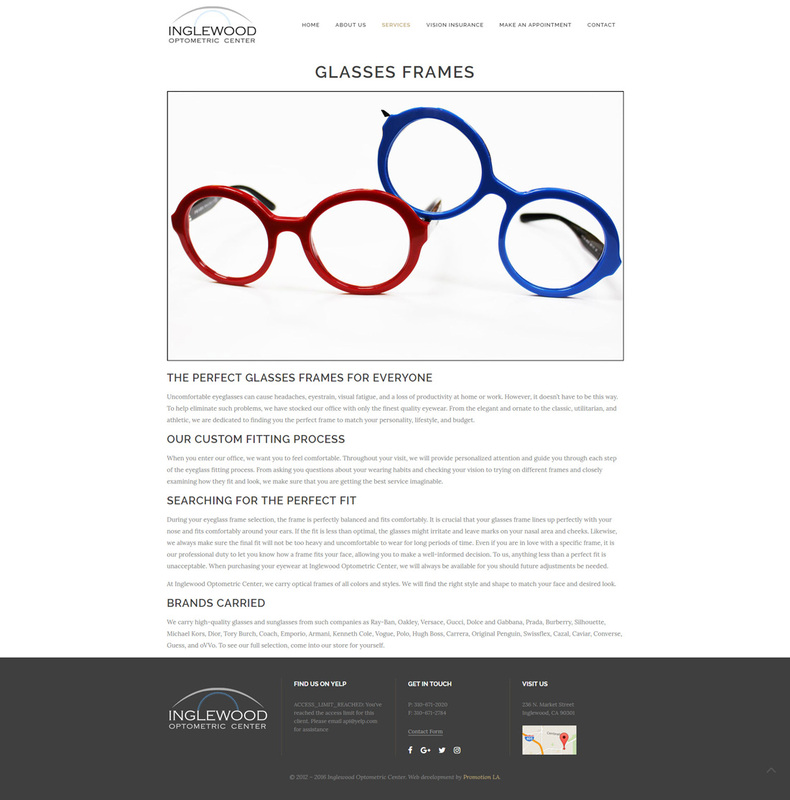 We also built a page for the friendly staff, because as a local business, it’s important to be able to showcase employees so clients can properly identify the staff when leaving positive reviews. 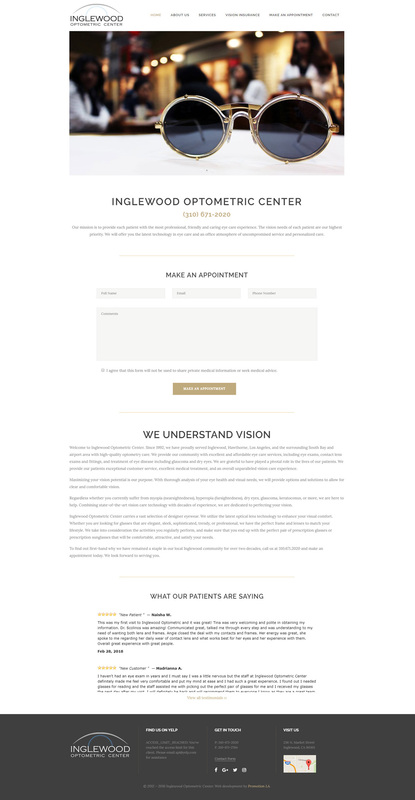 A staff page also creates a sense of warmth and familiarity a client can have before they even step inside for their first appointment.